I love making Spanakopita, even though all those delicate layers of pastry dough are my nemesis (nemeses??). 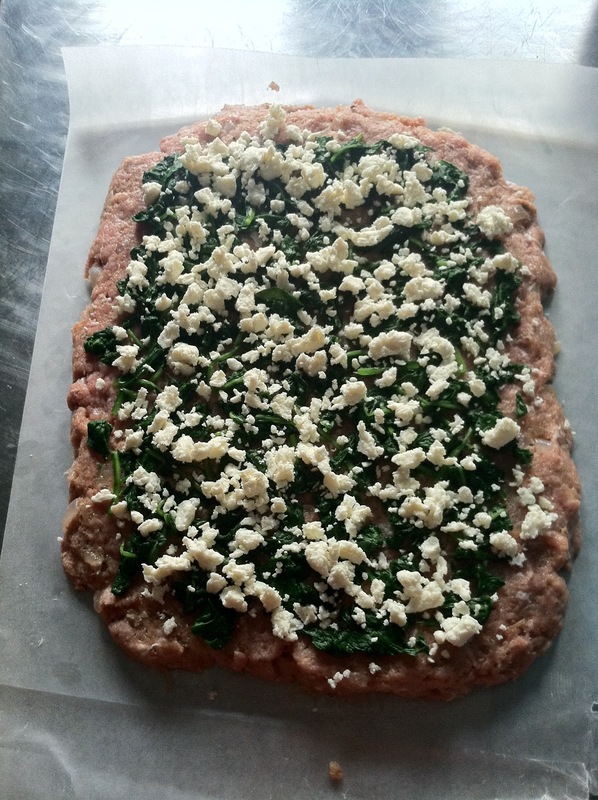 That said, all those Greek flavors – spinach, feta, a little lemon, and dill – are some of my very favorites. Could we take those and incorporate them into a turkey meatloaf? Yes. Yes we could. This was delicious, and I didn’t tell B what I had added, but he noticed the light lemon and dill flavor after a couple of bites. 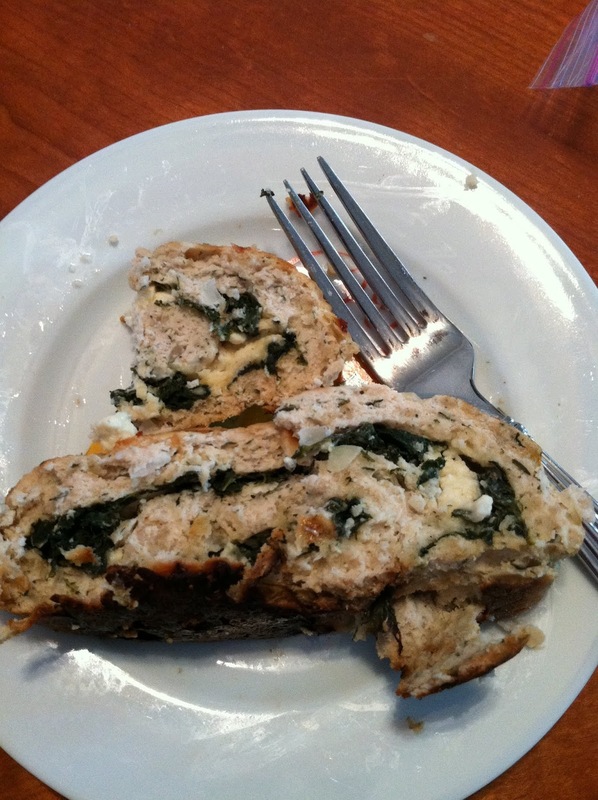 They definitely add a different dimension to your typical turkey meatloaf, but in an awesome way. Rolling this up makes it so pretty, too! 2. Heat 2 tbspns olive oil (or 1 tablespoon olive oil and 1 tablespoon butter) in a large saute pan over medium heat. Half an onion, slice off the top part (but keep the “root” part intact) and then make slits along the ridges of the onion, almost down to the root. 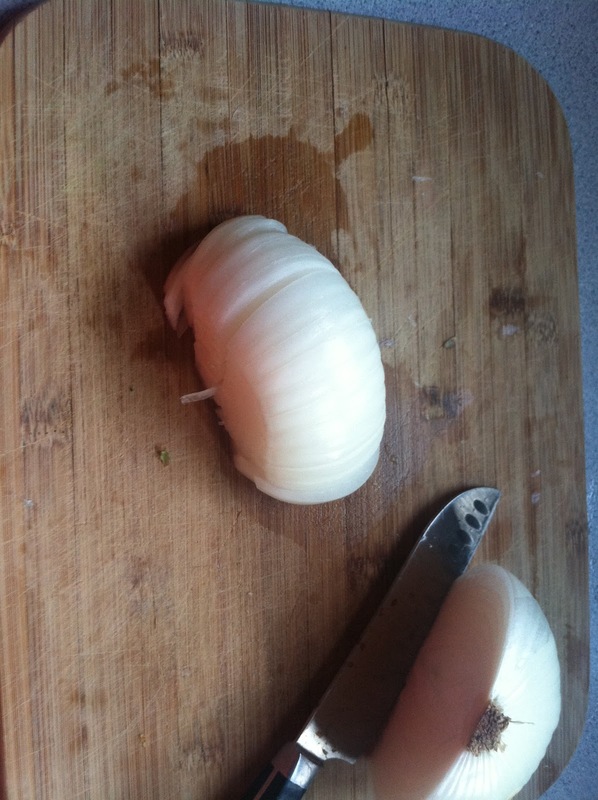 You can kind of follow the natural lines of the onion. Then flip it on its side, and slice it horizontally. 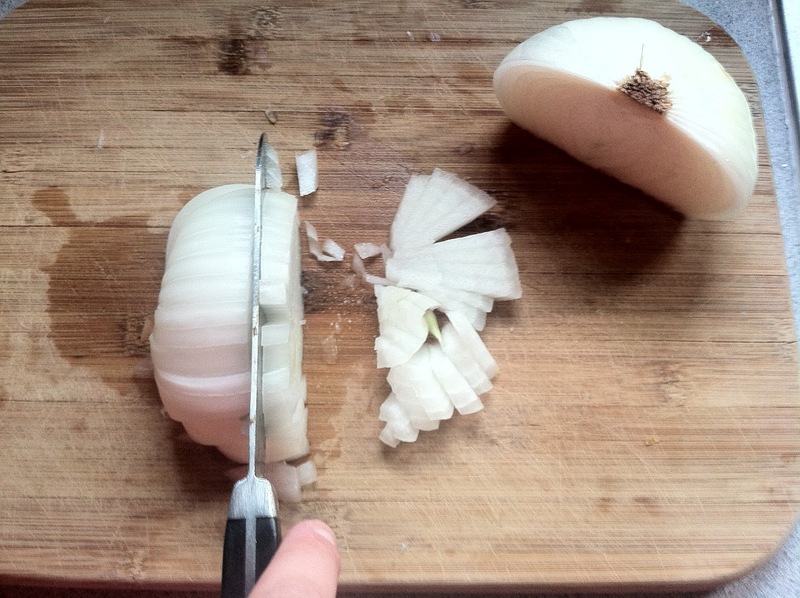 The onion will “dice” itself naturally. 4. Saute the onion in the oil or oil/butter combo until soft, add salt/pepper to taste. 5. Meanwhile, in a mixing bowl, combine turkey, dill, breadcrumbs, the lemon juice, the egg, 1/2 a teaspoon salt, and 1/2 a teaspoon pepper. 6. 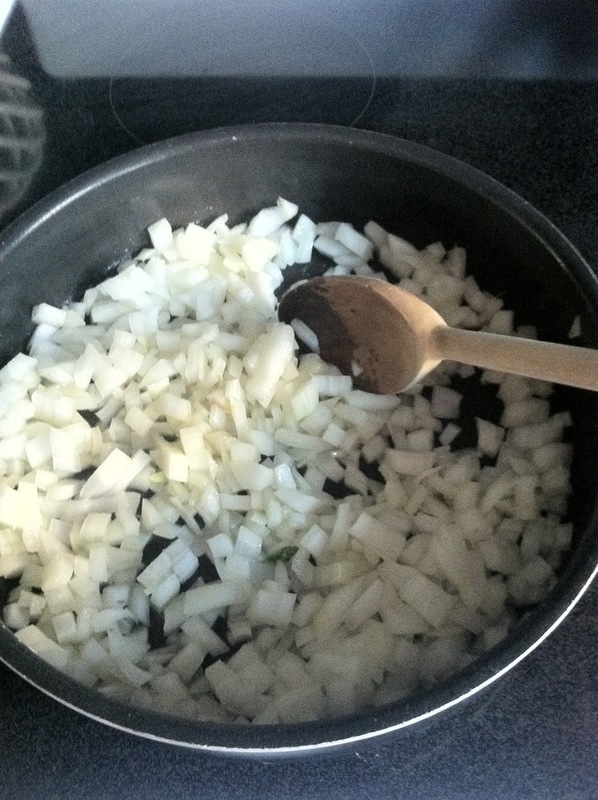 When onion is soft, remove from the pan and put on a plate to cool slightly. 7. Put pan that previously contained onions back on the heat, and add spinach to it. Lower heat and stir until just wilted, then remove spinach and drain by either pressing spinach against the sides of a sieve, using a cheesecloth to wring it out in bunches, or squeezing most of the liquid out with your hands (but let it cool first, obviously). When the spinach is drained, roughly chop. Set aside. 8. Add cooled onions to the turkey mixture, stir everything to combine. You can really get your hands in there to mix it up, which is probably easiest. 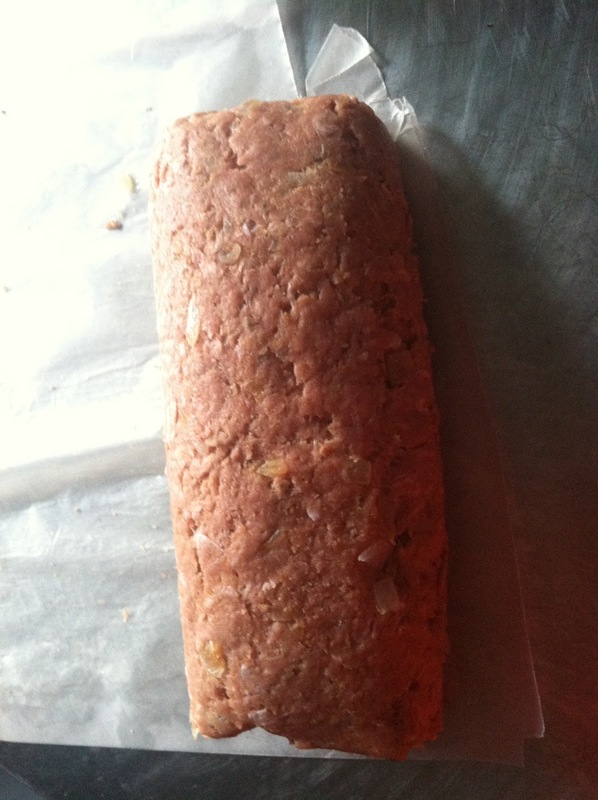 Form turkey mixture into a ball, and then press into an oblong shape on a piece of wax paper, and flatten minimally. 12. Put the meatloaf in a foil-lined baking pan, and bake in the oven at 400 for approx. an hour, or when the internal temperature reaches 160 Degrees 160 degrees. About 45 minutes into this, I took it out of the oven and drained off the fat/liquid that had pooled in the foil. You don’t have to, but it probably helps. This is really pretty, so tasty, and is even better for lunch the next day, hot or cold. 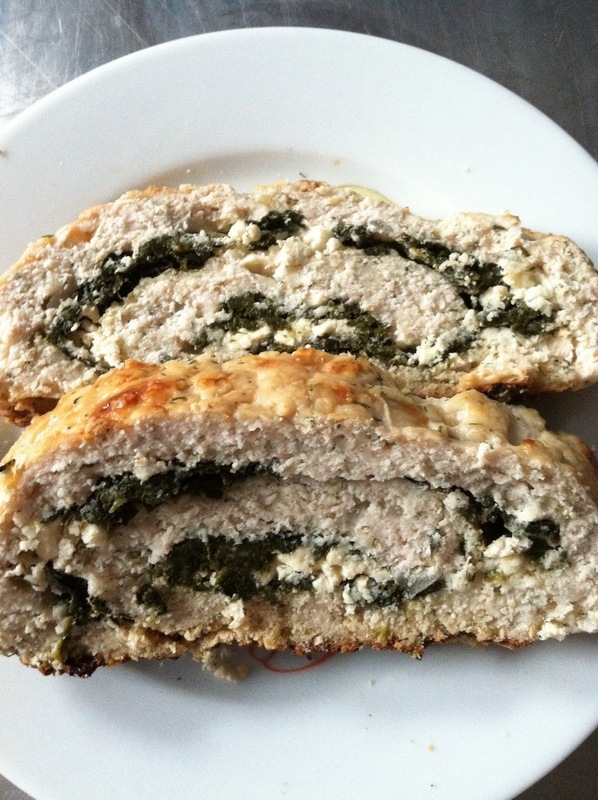 This entry was posted in dill, dinner, February recipes, feta, greek, lemon, lunch, spanakopita, spinach, turkey meatloaf on February 11, 2013 by westyn.